C60 Olive Oil Miracle Health Product? Miracle or just olive oil? Fullerene (carbon 60) molecules are a configuration of 60 atoms in a perfectly spherical shape resembling a soccer ball. Amongst all the chemical elements, carbon has the greatest capacity to bond and form new structures and is the basic building block of life as we know it. 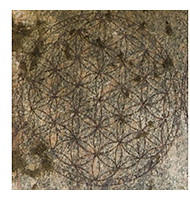 The Carbon 60 molecule, a very pure form of carbon, also has an unmistakable resemblance to the ancient, esoteric “flower of life” symbol found in Cabala and other hermetic traditions. 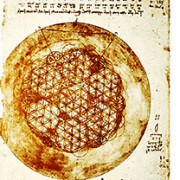 Humans have depicted the “flower of life” image since long before modern microscopes existed. 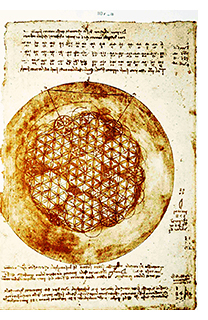 Could this be evidence that ancient seers were already aware of the microscopic level and familiar with the C60 molecule? 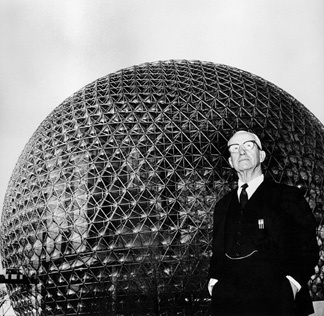 Fullerene molecules are also miniscule Doppelgangers of famed neo-futurist architect Buckminster Fuller’s geodesic domes, hence the nickname “Buckyballs”. In 2011, French scientists gave six rats a specially prepared olive oil infused with Fullerene molecules. The truth is, the French scientists were trying to discover the lethal dose of Fullerene molecules, so they kept feeding the rats greater and greater amounts of the stuff. Then something completely unexpected happened. The rats lived… on and on and on…! They lived past the normal life expectancy for rats with good health. They kept on living past the known upper ranges of lifespan for rats in general. In fact, they lived double their normal lifespan. The rats did not even die naturally; they were eventually euthanized so the scientists could have a look at their organs. What they found were hearts, livers, and spleens all in pristine condition, like those of much younger rats. The publication of the French study’s results sent many in the scientific community into a tizzy. It had to be the olive oil, already known for its health benefits, they scoffed. Or it had to be a mistake, maybe something was wrong with the data, they grumbled. Although olive oil by itself is in fact very beneficial to health, it alone cannot account for these incredible results. While the academics are still dithering over the French study’s findings, the alternative health community has jumped on the histoire of the French rats with its usual vitamin induced vigor, with many intrepid individuals guzzling Buckyballs as if they’d found Ponce de Leon’s fountain. Although the FDA has not yet approved Buckyball olive oil for sale in the US, you can still buy it online for lab uses only (wink wink). More recent experiments have provided insight on how C60 molecules may make our cells more youthful. Much like the larger organism, each cell processes fuel to release energy, and then excretes the resulting waste. For this purpose, every cell has organelles known as mitochondria. Mitochondria act as cellular power plants, releasing chemical energy in the form of ATP (adenosine triphosphate) through the process of respiration. They also play key roles in a cell differentiation and life cycle. As we get older, our cells tend to do these tasks less and less efficiently. Eventually, there is build-up within the cells of toxic materials in the form of “free radicals”, which are not being properly disposed of. This build up of oxidized material is most likely a primary cause of aging. Research suggests that C60 molecules are able to penetrate the mitochondria membrane and bond with free radicals, facilitating their excretion as cellular waste. This increases the overall efficiency of the metabolic process, essentially making the cells work as if they are far more youthful. 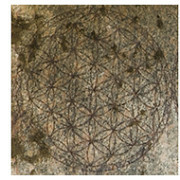 “Flower of Life” at Abydos, Egypt may be 10,500 yrs old. Carved into granite with unexplainable precision. Sir Harry Kroto shared the 1996 Nobel Prize in chemistry for discovering Buckyballs, while researching carbon chains in the interstellar medium. 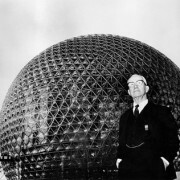 He commented, “this most exciting breakthrough provides convincing evidence that the Buckyball has, as I long suspected, existed since time immemorial in the dark recesses of our galaxy. In other words, it is a basic building block of our universe.” Some scientists have speculated that these molecules were instrumental in delivering the codes of life to our planet in the earliest primordial times. Buckyballs, it turns out, are all over the place. These beautiful geodesic, carbon molecules are found in the soot of burning candles, lightning bolt discharges, and the material flowing from supernovae events. Even common molasses, the byproduct of refined sugar, has significant amounts of Fullerene molecules. Buckyballs have been observed as far away as 6500 light years from Earth, hovering in clouds of cosmic dust; and as near as the impact zone of the Sudbury meteor crater in Ontario, Canada. 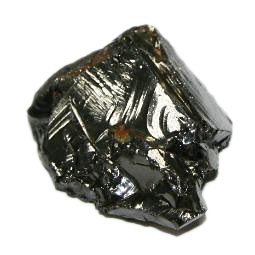 The mineraloid Shungite, first discovered in Russia, contains substantial amounts of naturally occurring Bucky molecules. Shungite has been used since at least the time of Czar Peter (1672-1725) for its ability to cleanse water, although Russian peasants apparently were aware of its properties for a long time before that. The Czar himself drank Shungite water and some believe this practice contributed to his extraordinary vitality and power. He also instructed his troops to disinfect their drinking water by placing chunks of Shungite in their carrying pots. As a result, the occurrence of intestinal problems among Russian soldiers was drastically reduced, and they were able to prevail against the dysentery-afflicted Swedes at the battle of Poltava. Shungite’s ability to purify water is now well-known and documented. Besides the possibility that C60 may prolong life span, there is also a veritable shopping list of super-supplement qualities being attributed to it. We must all ultimately use our own experiences and judgment to decide. For now, I’ll present the most common things that people are saying Buckyball olive oil can do. 2. Improves mental acuity, sharpness, and increases reaction/reflex ability. 3. More energy, and better athletic performance; better use of oxygen in the body. 5. Fast recovery from sunburn if applied topically. Good for any burn type injury, but not for use on broken skin. 6. Good for the skin in general. Some researchers have suggested that it should only be used at night as there is still a question about how C60 reacts with direct sun. 7. Immediate reduction of “bad” cholesterol in the body. 8. Alleviation of symptoms of many chronic diseases such as ALS, (Lou Gehrig’s disease) and Parkinson’s. 9. Just about everyone that has tried it has reported that C60 helps them get a really good night’s sleep. They say knowledge without experience is just hearsay, so we here at HH eagerly bought some Buckyballs online. It arrived in a dark bottle to protect it from light damage. The oil has a deep reddish amber color and a curiously peppery taste. The instructions say to take one dropper a day, although I have read tales of people on the Longecity site who take lots more than that and are still quite alive. We started with one dropper before sleep for the first few days. Taken before bed, it greatly enhances the depth and quality of sleep. That alone could lead to greater health and longevity. Too much (two droppers) left us groggy the next day. The optimal dose we arrived at was one dropper before bed about 1-3 times a week. Although these results could be from other factors, we experienced enhanced daily energy and endurance. Personally, my allergies, which normally completely incapacitate me for about three days every spring and fall, have been almost non-existent since our Buckyballs experiment. Age-related skin issues, like sun damage and dehydration, also diminished. I will cover this more in the beauty section. 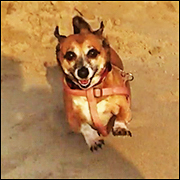 The greatest surprise has been its apparent effectiveness with animals, in particular our 14-year-old Jack Russel/Dachshund mix, Moosheka. Being immune to the placebo effect, she is an excellent test subject and was happy to gobble down her dose with a bowl of food. At fourteen, she’s in good health, but was slowing down to the point where I was concerned. After ½ of a dropper in her food over three consecutive evenings, Moosheka began behaving like a puppy again, running up to three miles on mountain trails and bounding around like a dog half her age. While I do not administer Buckyballs to Moosheka on a regular basis, I start it up when I see she is flagging. It always works. By the next day she’s full of energy, barking her shrieky little bark and exhibiting joyful doggie behavior! 1. Carbon filters are one of the oldest methods for removing impurities from water. (There is a 2000 BC Sanskrit text that refers to filtering water through charcoal.) The human body is mostly water (between 60- 80%). 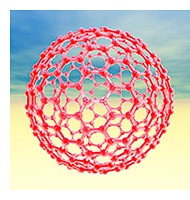 It is possible that carbon 60 Fullerenes act like tiny, microscopic carbon filters on cells, cleansing them of detritus. 2. C60 Fullerene molecules dissolved in olive oil are possibly an adaptagen. This is not yet proven by way of empirical research, but its symmetrical molecular structure combined with its propensity for bonding suggests that C60 may have multiple uses in stabilizing various organic processes. Carbon is well-known as a substance that can form into many other things and C60 seems to help people in the areas where they need help. CLOSING THOUGHT: Something of interest is going on here and definitely warrants further study. If you the reader feel inclined to embark on your own personal C60 experiment, or have already tried it, we would love to hear about your experiences in our comment section. To learn more, you may want to read the following articles and discussions. PLEASE NOTE: Hyperborean Health has NO financial interest in any of these companies. Here are two places to buy Buckyball Olive Oil. https://hyperboreanhealth.com/wp-content/uploads/2014/07/fullerene-molecule-computer-artwork-laguna-design-e1406245132393.jpg 150 150 Sydney C Light https://hyperboreanhealth.com/wp-content/uploads/2014/06/logo.jpg Sydney C Light2014-07-19 01:50:242018-07-18 16:44:17C60 Olive Oil Miracle Health Product?